Sounds like a lovely weekend – love the sound of the island, especially seeing and hearing about those butterflies! Couldn’t cope living there mind, but places like that always seem a bit magical and olde worlde – love it! Incidentally, where in England are you from originally? I’m looking forward to reading more from another ex-pat in another country! I know what you mean – I always imagine it would be great living on an island but realistically I’d miss supermarkets, bars, etc. It’s probably nice in summer when the ferries are fairly regular, but in winter I imagine it to be awful! I’m an army brat, so technically I’m from all over 😉 But Northumberland is where my family’s from and where I consider home. I lived there from age 13 until I went to university, which is a long time for me! I loved Stockholm too though I went in March when it was pretty chilly! We went to some of the places you did and I would love to go back again. Glad you had fun, shame you didn;t get to do all the things you wanted too! It’s difficult when you’re travelling with other people, and for such a short time. A few extra days would have helped but we couldn’t afford the hotel for that long! 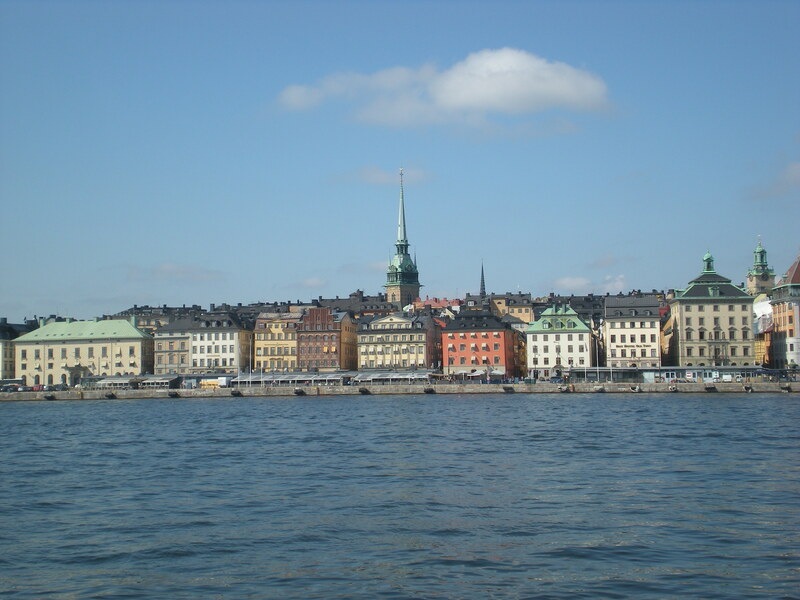 Stockholm is high on my list of places I still have to visit in my lifetime. Thanks for the glimpse of the city! Did you find that it was expensive, by the way? That seems to be the biggest knock against it, but I think I might have trouble judging that, since my city, Vancouver, is apparently one of the most expensive cities in the world as well. You definitely should visit Stockholm. It’s well worth it! The prices had always put me off, but other than the hotel things didn’t strike me as THAT expensive. We did stay in a fairly decent hotel, but I’ve stayed in comparable ones before that were definitely cheaper. The flight (with Skandinavian airways) was also more expensive than flights I’ve had in the past, but we left it fairly late so maybe we were unlucky? Food and things (in restaurants) I would compare to the prices in London, which I always think is expensive but from what I’d heard I expected Sweden to be even worse! I think things like clothes and groceries might be fairly expensive, but as tourists we didn’t really need to buy any of that stuff. What was a Swedish aspect of culture that threw you off or ..surprised you? Hmm, as tourists we din’t really see much of Swedish culture. What did surprise me was that places seemed to close pretty early. One evening, we wanted to buy some soup and wraps from one place we had spotted only to find it was closed when we got there and it wasn’t even 8 p.m. yet. Where I live in Germany something like that would stay open til 8. In villages things tend to close early here, but Stockholm is a capital city! You should definitely go. The food we had was fabulous!